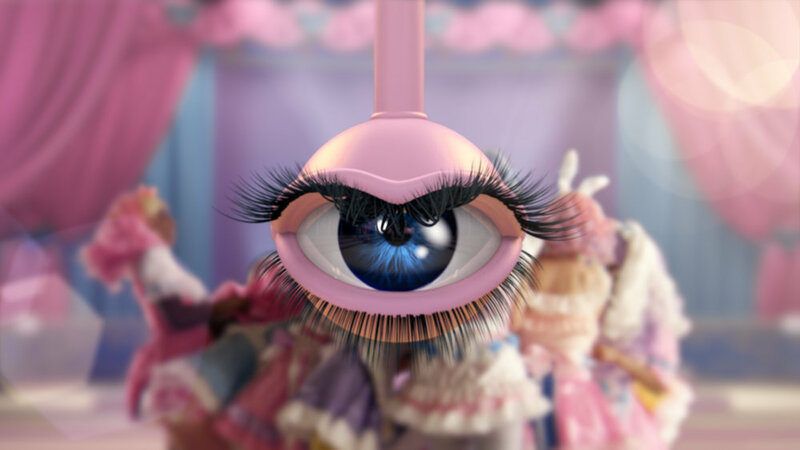 During the 2018 summer heatwave I was tucked away in the studio writing music for multimedia artist Rachel Maclean's brilliant feature film Make Me Up. It marks 100 years since women were first given the right to vote in the United Kingdom. Part horror movie, part comedy, Make Me Up reflects on the shortcomings of our journey towards equality throughout the past century. Produced by Hopscotch and NVA it is a turely striking work of visual imagination. Rachel's work utilises sampled audio from a various sources making it a challenging and rewarding writing experience. I've never mashed horror, church organ, acoustic pop, electro, gameshow, hollywood romcom and cartoon music in a project before. The main challenge was to make it all hang together. In October 2018 the film will premier at the BFI London Film Festival. It will also be presented at The Naional Gallery in a rare exhibition by a contemporary multimedia artist. For cinema dates and broadcast details please click on the eye below.